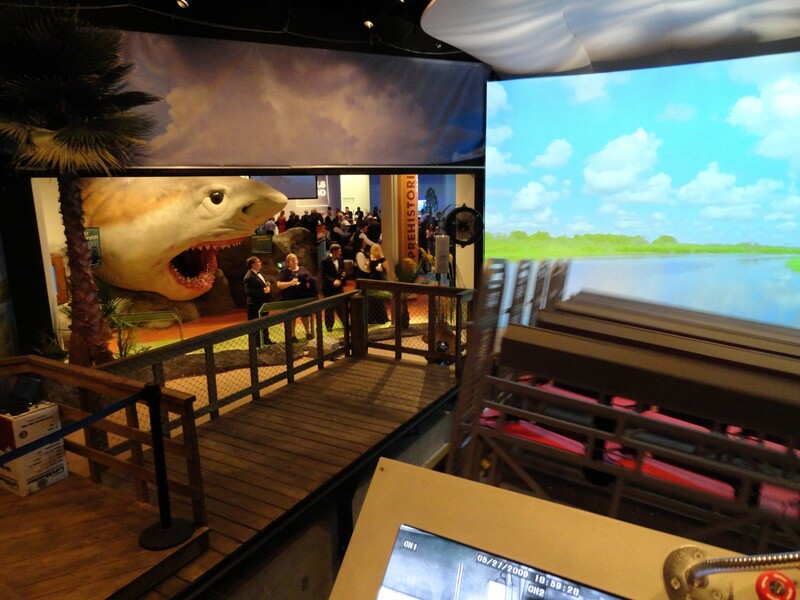 The Museum of Discovery and Science in Fort Lauderdale wanted to create a simulation of an airboat ride through the Florida Everglades, and Mad Systems came to the rescue. Designing the mechanical requirements of the space include the pit calculations for a 6-DOF (6 degrees of freedom) electric motion base that was installed to mechanically emulate, and visually look like an airboat. The theming was also done so that it feels like visitors are walking into the swamp, and onto the airboat. 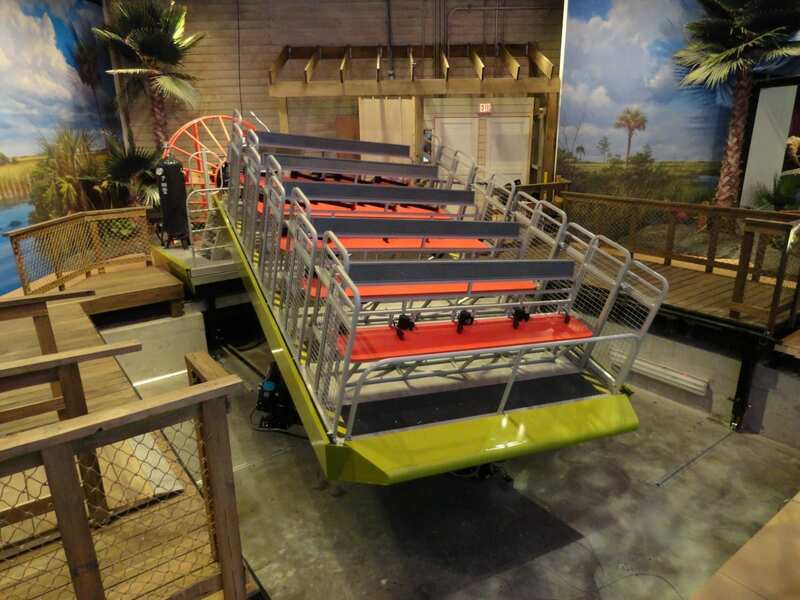 Moveable docks were created to allow visitors to get on and off the ‘airboat’, and these are driven to a safe distance together with part of the airboat before the ride starts. 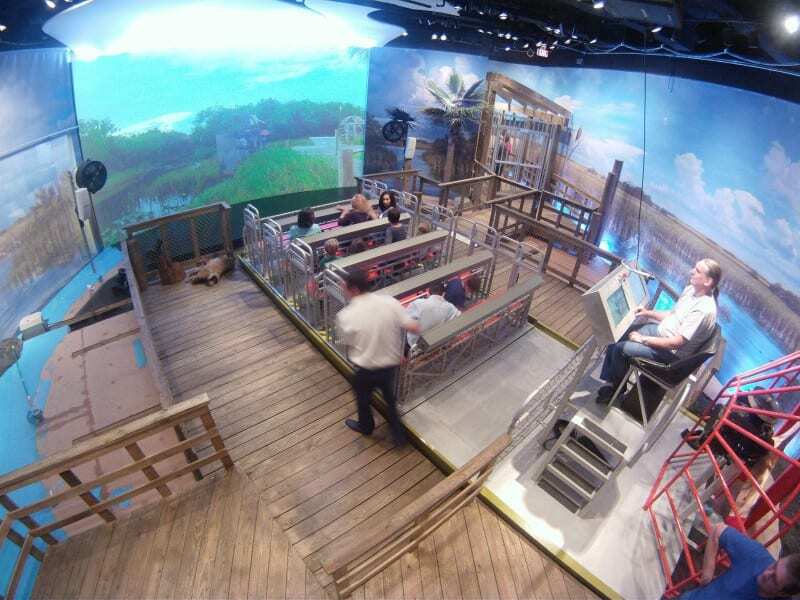 A 26′ screen finishes the illusion with an entirely themed space so that visitors really do feel that they are being taken out of the museum into the Everglades for this exciting ride. One of the nice aspects is that Mad had the media developed so that we could run continuous video – so when visitors step onto the airboat, the video running at the front shows that we’re moored in a little creek off the main water runs through the Everglades. The result is great! 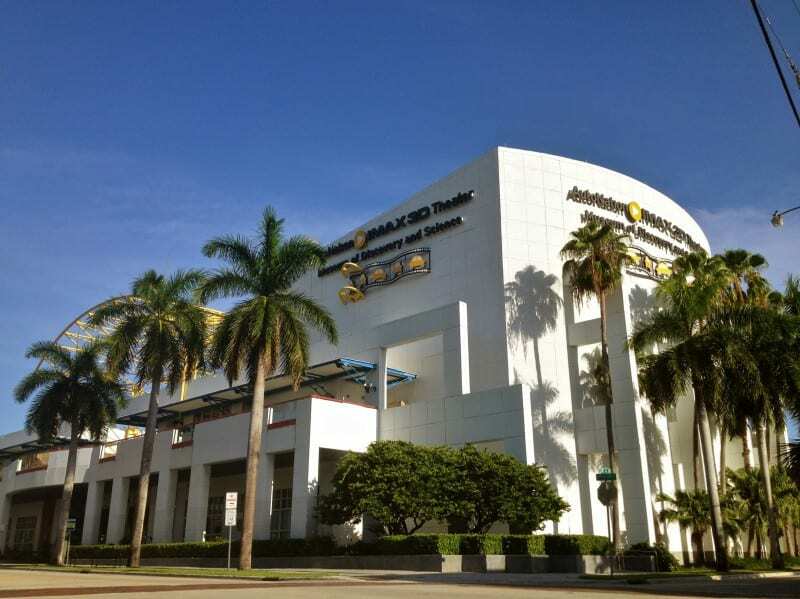 Mad developed the motion ride software, programming interface, safety interface and audio/video and special effects interfaces for this exhibit. One other unusual factor about this exhibit is that one of the walls is open into the rest of the museum – all there is between the museum and this theater is a thin scrim. Actually, this image very clearly shows that there is no wall going into the museum – it was taken the day before the scrim was put in. Of course, one of the requirements of the system is that the audio levels are realistic (peaking at 105-106dB) – and equally of course, the audio levels in the main museum must not interfere with the normal running of the museum. Mad designed the audio system with all this in mind, resulting in a minor rise in the audio level (+3dB) during the highest noise peaks in the theater (105-106dB) by very careful implementation of a ‘precedence’ based audio system. It all works remarkably well, and has little to no impact to visitors standing even just outside of the scrim that separates the theater from the museum.